555 Broadway, New York, New York 10012 (Between Prince and Spring Street). 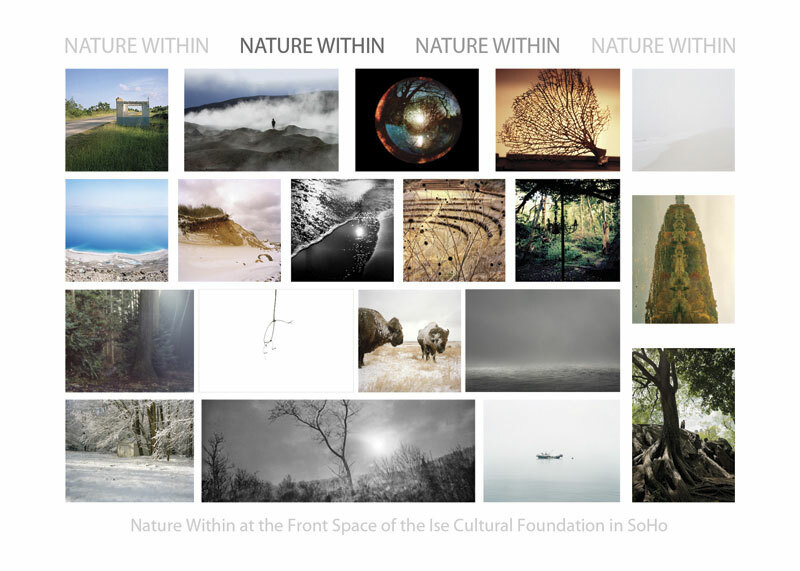 Nature Within features the recent works of nineteen photographers from diverse backgrounds comprising ten different countries. Their photographic genre ranges from documentary and photojournalism to conceptual and all have had their prior works featured in galleries throughout the world. Nature Within is an exhibition that attempts to rethink our relationship and existence within nature. The exhibition takes us to a personal space and place embedded within our experience with it. The photographers exhibiting include many ICP alumni. This entry was posted in Events, Exhibitions, International, Seen and heard and tagged Alejandra Ugarte Bedwell, Alessandro Vecchi, Becky Holladay, Brendon Stuart, Christian Erroi, FRONT SPACE, Hiroshi Sumiyama, ICP alumni, ISE CULTURAL FOUNDATION, Liz Sales, Minny Lee, Rachel Gardam, Sarah Girner, Sieglinde Cassel, Sooyeun Ahn, Tara Cronin, Tom White, Vicky Amián Azcoitia. Bookmark the permalink.